LAHORE: Chief Minister Punjab Mian Shahbaz Shairf took notice of the death of a 55-year-old woman who died due to alleged police torture in Sargodha, Geo News reported on Saturday. CM Punjab Shahbaz Shairf sought report from the RPO and ordered probe into the incident. 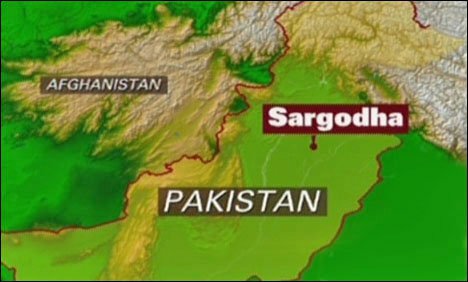 Details have it that a woman aged 55 lost her life in an adjoining village of 120 South in Sargodha when policemen allegedly subjected her to torture. The relatives and family members of the deceased woman protested with her dead body at DHQ Chowk. According to the victim’s neighbours, the son of the deceased woman had married a girl out of love and police had raided her house to arrest him. In failing to recover her son, police allegedly tortured his mother who succumbed to the brutality and couldn’t survive. The relatives of the woman alleged that police had filed the case after five years on political pressure. Shahbaz Shairf also condemned the bomb blast at Peshawar Chowk in Kohat today morning that killed three persons. He further stated that cash is being distributed fairly among the flood victims, and that he is personally supervising the process of rehabilitation and financial assistance along with relief and rescue operation.